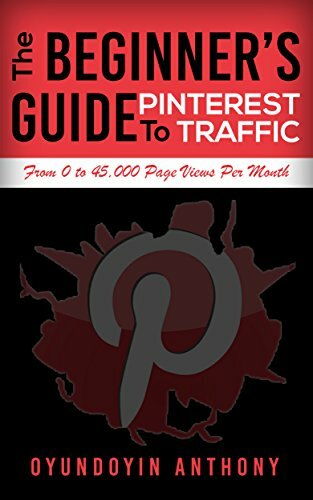 The Beginner’s Guide To Pinterest Traffic is book that explains step by step guide to get traffic from pinterest for free.The strategies I shared in this book is what I have used that change my blog traffic from zero to 45,000 page view every month.It is a complete guide, starting from how to convert your personal pinterest account to business account.How to create group boards for your website or blog. The book contain an in dept information on how to leverage other people’s pinteres boards to increase your website traffic.Simple tool to automate your pinterest traffic in a matter of minutes.How to use Tailwind bribe to drastically boost your pinteest traffic without even open your pinterest account.I shared my simple pinterest traffic that increase my blog page view from zero to 45,000 every month without wasting time on pinterest.Get access to everything you need to know about pinterest traffic. Check the table of content to see what you will lear from this book. Chapter 13: Pinterest Followers:Do they Really Matter?